4.5 stars! 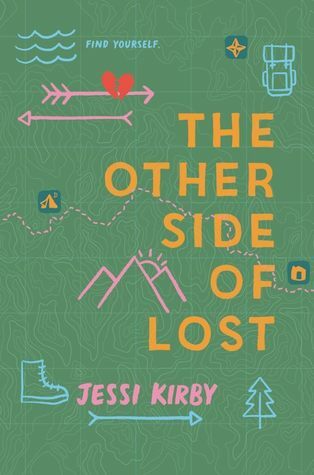 I’ve never imagined myself going on a hike, but after reading this book (even with all of stressful things that happen), I’m feeling inspired to go on even a little one of my own. Also, this was just so well-written and it made me very emotional at certain points! I received this book through Goodreads First Reads.I don't have much to say about this one. I thought the author did a good job with the writing and describing the hiking scenes. Overall, it was a nice story even though I felt it was a bit predictable. While reading this book I was constantly on the lookout for a love interest. I was anxious whether of not he's going to even be in the book since the theme doesn't necessarily scream "I NEED A MAN" and then a certain guy appeared in the background and I groaned out loud. Romance wasn't the main focus of the story and I still think The Other Side of Lost would've been better without any trace of it. I really, really enjoyed this book and want teen my daughter, who follows a lot of lifestyle Insta stars, to read it as well. It was like "Wild" meets "The Sky Is Everywhere" and deals with grief, loss, love, and the transforming power of the outdoors. I highly recommend it. *3.5 stars*A Wild for a younger audience, and a wonderful look at grief, social media, and honesty. Bonus points for John Muir references.